After the Anjou releases beginning of last month we have been a little quiet. After all it is summer time and we needed to spend some time with the family. But we have not been sitting on our hands. On the contrary. You have seen that we have been quite busy supporting people starting to convert their VO and Vulcan code. And we have also developed some new things. These things are listed below. We expect to release a new build to our FOX subscribers end of this week, beginning of next week. Stay tuned for more info. Added support for XML doc generation. We support the same tags that the C# compiler and other .Net compilers support (in fact we are using Roslyns XML generation feature for most of the work). Created separate projects for portable and non portable (.Net framework 4.6) for the compiler and scripting. We will now install 2 sets of DLLs on your machine. When declaring a type with the same name as the assembly in which it is defined a compiler error is generated with a suggested work around. 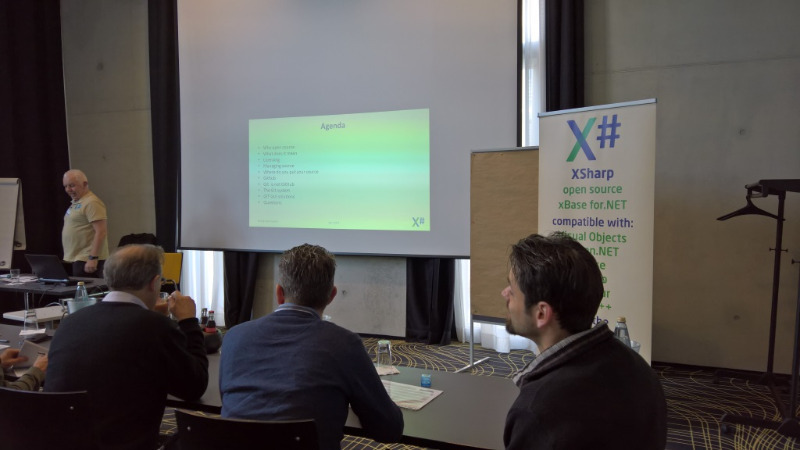 We have just released XSharp "Anjou" Update 1. Improved the speed of the construction of Completion Lists (such as methods and fields for a type). We have also added Completion List Tabs, where you can see fields, properties, methods etc. on separate tabs. You can enable/disable this in the Tools/Options/Text Editor/XSharp/Intellisense options page. On behalf of the Devteam I want to thank you all for the nice feedback that we got in the last week.This is really appreciated ! We are VERY pleased to announce that we have released XSharp "Anjou" (build 1.0.1) to the general public. This new build differs only from RC 5, that was released last week, in a few issues with Visual Studio integration. FOX subscribers can download their version from the FOX download area on this website. Other users can download their version from the General section on this website. The difference between the two versions is that the Compiler in the FOX version is a little more optimized, so a little faster. And FOX subscribers will get personal support from our development team in return for their support for the development of the product.